When skeptics and infidels have said all they can, we must not forget that there are three great broad facts which they have never explained away, and I am convinced they never can, and never will. Let me tell you briefly what they are. They are very simple facts, and any plain man can understand them. a. The first fact is Jesus Christ Himself. If Christianity is a mere invention of man, and the Bible is not from God, how can infidels explain Jesus Christ? His existence in history they cannot deny. How is it that without force or bribery, without arms or money, He has made such an immensely deep mark on the world as He certainly has? Who was He? What was He? Where did He come from? How is it that there never has been one like Him, neither before nor after, since the beginning of historical times? They cannot explain it. Nothing can explain it but the great foundation principle of revealed religion, that Jesus Christ is God, and His gospel is all true. b. The second fact is the Bible itself. If Christianity is a mere invention of man, and the Bible is of no more authority than any other uninspired volume, how is it that the book is what it is? How is it that a book written by a few Jews in a remote corner of the earth, written at distant periods without consort or collusion among the writers; written by members of a nation which, compared to Greeks and Romans, did nothing for literature—how is it that this book stands entirely alone, and there is nothing that even approaches it, for high views of God, for true views of man, for solemnity of thought, for grandeur of doctrine, and for purity of morality? What account can the infidel give of this book, so deep, so simple, so wise, so free from defects? He cannot explain its existence and nature on his principles. We only can do that who hold that the book is supernatural and of God. c. The third fact is the effect which Christianity has produced on the world. If Christianity is a mere invention of man, and not a supernatural, divine revelation, how is it that it has wrought such a complete alteration in the state of man kind? Any well–read man knows that the moral difference between the condition of the world before Christianity was planted and since Christianity took root is the difference between night and day, the kingdom of heaven and the kingdom of the devil. Whenever you are tempted to be alarmed at the progress of infidelity, look at the three facts I have just mentioned, and cast your fears away. Take up your position boldly behind the ramparts of these three facts, and you may safely defy the utmost efforts of modern skeptics. They may often ask you a hundred questions you cannot answer, and start ingenious problems about various readings, or inspiration, or geology, or the origin of man, or the age of the world, which you cannot solve. They may vex and irritate you with wild speculations and theories, of which at the time you cannot prove the fallacy, though you feel it. But be calm and fear not. Remember the three great facts I have named, and boldly challenge skeptics to explain them away. The difficulties of Christianity no doubt are great; but, depend on it, they are nothing compared to the difficulties of infidelity. Steve Hills sent me this link to a "cutting edge" seeker church in Arkansas that has managed to get their services down to a 30 minute package. Too bad Ezra didn't have this format when he read from the Book of the Law "from morning to midday" (Nehemiah 8:3) or Paul when he preached till midnight in Troas (Acts 20:7). Worship is just what we need to "jumpstart" our week. This series is an occasional, verse by verse, exposition of the book of Jude. An archive of past articles are available at the "Jude Exposition" label below. First, they "defile the flesh." Jude refers to them as "dreamers." The Greek participle here comes from the verb enypniazomai, which is also the root for the English verb "to hypnotize." These men apparently claimed to have ecstatic visions or dreams in which they said that God communicated directly with them. They relied on dramatic spiritual experiences rather than sober judgement. Jude accuses these dreamers of defiling the flesh. Perhaps this meant sexual immorality (see v. 7). These dreamers were likely antinomian (law rejecters), claming that what they did in the body did not matter. Second, they "reject authority." The AV renders the phrase, "despise dominion." These men would not submit to the authority of God, to the authority of Scripture, and to the authority of the apostles. Perhaps they were also unwilling to submit to the authority of the elders in the local churches. They did not want anyone telling them how to believe or how to live. They would not accept correction or discipline. The result was disorder and chaos. Third, they "speak evil of dignitaries." This is admittedly difficult to interpret. The noun "dignitaries" is the plural of the Greek word for "glory" (doxa). The verb "speak evil" is usually translated "blaspheme" (blasphemeo). So, it might be translated, "they blaspheme glories." What are the "glories"? Some take it to mean "glorious beings" and so "celestial beings" (NIV) or "angelic majesties" (NASB). They are in rebellion at every level, rejecting God, men, and angels. Jude is bold in this denunciation of these false teachers. Even as a father is willing to fight against an intruder who threatens his family, or a shepherd is willing to attack a wolf who threatens his flock, Jude is zealous to defend his people from error. He is zealous "to contend earnestly for the faith" (v. 3). What does this verse tell us about the dangers of false teaching? Why should our faith be based on Scripture and not merely on spiritual experiences? Why would Jude associate false teaching with an anti-authoritarian spirit? And if Christ is not risen, your faith is futile; you are still in your sins! (1 Corinthians 15:17). Dead men cannot take effective action; their power of influence on others lasts only till the grave. Deeds and actions that energize others belong only to the living. Well, then, look at the facts in this case. The Savior is working mightily among men, every day He is invisibly persuading numbers of people all over the world … to accept His faith and be obedient to His teaching. Can anyone, in the face of this, still doubt that He has risen and lives, or rather that He is Himself the Life? Does a dead man prick the consciences of men, so that they throw all the traditions of their fathers to the winds and bow down before the teachings of Christ? If He is no longer active in the world, as He must needs be if He is dead, how is it that He makes the living cease from their activities, the adulterer from his adultery, the murderer from murdering, the unjust from avarice, while the profane and godless man becomes religious? If He did not rise, but is still dead, how is it that He routs and persecutes false gods, whom unbelievers think to be alive, and the evil spirits whom they worship? For where Christ is named idolatry is destroyed and the fraud of evil spirits is exposed; indeed, no such spirit can endure that Name but takes to flight on the sound of it. This is the work of One Who lives, not of one dead; and, more than that, it is the work of God. The above quote is attributed to German poet and journalist Heinriche Heine (1797-1856). He supposedly gave this answer when a priest asked him on his deathbed if he thought God would forgive him for his sin. There is a modern ring to the defiant quote. Most, it seems, view it as God's job, God's obligation even to forgive. We want a God of grace, but not a God of wrath. A God of mercy, but not of justice. A God of heaven, but not of hell. The Christian concept of forgiveness of sins is not merely wiping the slate clean. It is not mere expiation but propitiation. It involves God's wrath being satisfied in the death of Christ on the cross. "Yet is pleased the LORD to bruise him; he hath put him to grief" (Isaiah 53:10a). "He shall see the travail of his soul, and shall be satisfied" (Isaiah 53:11a). "And almost all things are by the law purged with blood; and without shedding of blood is no remission" (Hebrews 9:22). O cross, most welcomed and long looked for! With a willing mind, joyfully and desirously, I come to thee, being the scholar of Him which did hang on thee: because I have always been thy lover, and have coveted to embrace thee. Yesterday morning's message at JPBC was on the "Suffering Servant" of Isaiah 53. Polycarp called this passage, "the golden passional of the Old Testament Evangelist." Matthew Henry: "This chapter is so replenished with the unsearchable riches of Christ that it may be called the rather the gospel of the evangelist Isaiah than the prophecy of the prophet Isaiah." Another said, "Here we seem to enter the holy of holies of the Old Testament prophecy, that sacred chamber wherein are pictured and foretold the suffering of Christ and the glory that should follow" (as in B. H. Carroll, Interpretation, Vol. VII, p. 221). 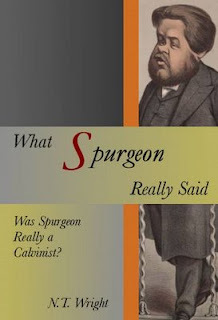 Texas Baptist giant B. H. Carroll: "This section contains the very heart of the gospel and the preacher who leaves it out of his preaching is a preacher of ‘airy nothings.’ The success or failure of the preacher is determined as he relates his preaching to the truth of this great passage" (Ibid.). My daughter Hannah is working on a report on China and she asked me, "Who was the first missionary to China?" When she had looked up the question in secular electronic encylopedias she had found the names of Roman Catholic missionaries, but she wanted to know who was the first to bring the faith of the Reformation to China. I did not know the answer offhand, so we did a little sleuthing together and the name of Robert Morrison (1782-1834) emerged. 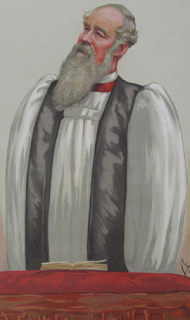 According to The Oxford Dictionary of the Christian Church Morrison was the "first Protestant Missionary in China." A Presbyterian, he went to Canton in 1807. As with most pioneer missionaries, his first task was Bible translation. He completed the NT in 1814 and the OT in 1818. He also completed a six volume Chinese Dictionary in 1821 that was the standard such work for many years. 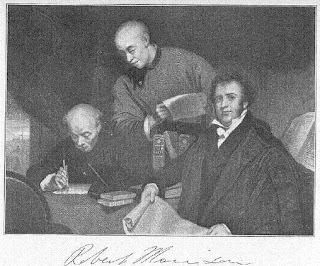 According to S. M. Houghton's Sketches From Church History, Morrison labored seven years before he saw his first Chinese convert to Christ. Remembering a man like Morrison puts our life's work and goals in proper perspective. Will we also live for Christ? In last Sunday morning’s message, we spent some time meditating on Mark 6:46: "And when He had sent them away, He departed to the mountain to pray." Matthew Henry: "A good man is never less alone than when he is alone with God." Joel Beeke: "Part of our problem is that we view prayer as an appendix to our work rather than as the first major part of our work. If we are to live godly lives, we must pray. If we would learn the art of sacred wrestling and holy argument with God, we must pray. Prayer is the only way to lay hold of God." John Owen: "To preach the Word and not follow it with constant prayer for its success is to disbelieve its use, to neglect its end, and to cast away the seed of the gospel at random." Hudson Taylor: "Do not be so busy with the work of Christ that you have no strength left for prayer." The great Reformer Martin Luther committed three hours each day to prayer and he once said to his colleague Melanchthon, "I must rise an hour early tomorrow, for, given all that I need to do, I must spend more time in prayer." 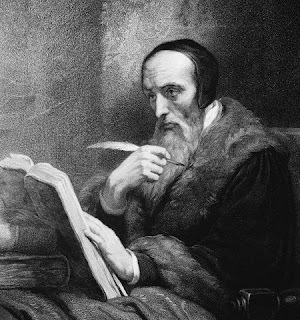 It is said that John Welsh, the son-in-law of Scottish reformer John Knox prayed seven hours a day. He kept a robe by his bedside each night so that he would not catch cold when he rose to commune with God. He said, "I wonder how a Christian could lie in his bed all night, and not rise to pray." May the example of Christ and the words of these fellow believers prod us on to greater faithfulness in prayer. Note: Evangel article for 3/11/08. Baptist Press has two more articles on conflict at Broadway Baptist Church in Fort Worth where the Pastor survived a vote for dismissal (read them here and here). I cite this not to revel in their troubles (though it is interesting how the moderate Baptist Press so often enjoys reporting on trouble in conservative churches). I am intrigued by the fact that even an arch-moderate, post-SBC church like this one still has members who wince at the uncritical acceptance of homosexual practice among its members. It also illustrates the confusion that comes with moderate-liberal stress on "freedom" over "purity." The liberal social gospel is alive and well in C-ville. Last night the group called "IMPACT" got c. 1,900 people into University Hall in a rally for "social justice." See the Daily Progress article here. The gathering supposedly represented 28 congregations, Christian, Jewish, and Muslim. It included Catholics, Unitarians, and Baptists. Why wasn't JPBC there? Because the social gospel is a false gospel. How do we do people the most good? By preaching the gospel of Jesus Christ crucified for sinners. As Indian evangelist K. P. Johannan put it: "It is a crime against lost humanity to go in the name of Christ and missions just to do social work yet neglect calling men to repent--to give up their idols and rebellion--and follow Christ with all their hearts" (Revolution in World Missions, p. 112). Sermon of the Week: Joel Beeke, "Commitment to the Local Church." I listened to this message the other day from Joel Beeke and was struck by many things he had to say. Sounds like he was addressing the young people of the church or Christian school associated with his church. Beeke hits things that few in our individual-centered culture stress today like the concept of loyalty to the local church and its ministers. He takes on the problem of "church-hopping" in America, apparently a particularly acute problem in a city like Grand Rapids. Listen and be challenged! 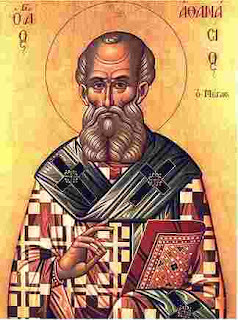 I have lately expressed a wish to enter upon this difficult part of the Holy Scriptures; not because I conceive myself at present equal to the undertaking, but because I think I understand something of it, and hope, by going through it in the way of exposition, to understand more. I enter upon it with fear; but as I shall not attempt to explain that which appears to me to be of doubtful import, I hope it may not be presumptuous, but a profitable undertaking. Steve Hills tipped me off to the latest work of N. T. Wright. Read about it here. Why do we need a confession of faith? A confession of faith is a guardian of orthodoxy. It is an explicit testimony as to how a body of believers interprets the Scriptures. It is not equal in authority to Scripture and may be changed to conform more closely to Scripture. A confession of faith holds the church’s teachers accountable to doctrinal fidelity. The man who has no creed has no belief; which is the same thing as being an unbeliever; and he whose belief is not formed into a system has only a few loose, unconnected thoughts, without entering into the harmony and glory of the gospel. Every well-informed and consistent believer, therefore, must have a creed—a system which he supposes to contain the leading principles of Divine Revelation. In considering this matter, we should be careful of "restorationists" who claim to take only the Bible as their confession. These may piously pronounce that they have "no creed but Christ" and claim to desire only to reconstitute "primitive" Christianity. Such, however, merely have an unstated and unwritten creed. This is dangerous because their unstated creed cannot be plainly read, studied, and scrutinized. It might also be changed without notice. Think of the Mormons who are adamantly non-creedal. Their "prophets" can change doctrinal direction at any time. This is typical of Christian cults and fringe groups that wander into doctrinal error. The practice of doctrinal confessions is, in fact, a Biblical practice. The earliest Christian creed was the simple statement: "Jesus is Lord" (see Rom 10:9; 1 Cor 12:3; Phil 2:11). See also Paul’s clear statement of the basic facts of the gospel including the death, burial, and resurrection of Christ in 1 Corinthians 15:1-8. This also is an early, Biblical confession of faith being used as a test of orthodoxy. To confess a doctrinal standard is, in fact, to follow a Biblical pattern and example. None else is worth believing. Note: Ben Parziale "sang" this song about his JPBC internship at the Valentine's Banquet (to the tune Folsom Prison Blues). Always be a good boy, don't ever be an intern. But I thought I’d like to do it, just to give it a try. When I hear his voice a’calling, I hang my head and cry. He’s probably drinkin’ coffee and readin’ Reformed Pastor. Well I know I had it coming, when I read Homemaking. 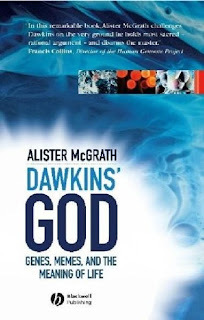 Alister McGrath, Dawkins’ God: Genes, Memes, and the Meaning of Life (Oxford: Blackwell Publishing, 2005): 202 pp. This book is an examination and critique of Oxford "Professor of the Public Understanding of Science" Richard Dawkins and his crusading efforts to promote Darwinian atheism. McGrath had been a committed atheist as a young man but later converted to Christian faith. He also has training both in the natural sciences (biochemistry) and in theology. This makes him more than adequately prepared for presenting this critique of Dawkins’ views. One of McGrath’s chief criticisms is aimed at Dawkins’ contention that science might somehow disprove the existence of God. Science cannot answer the God question: "The scientific method is incapable of delivering a decisive adjudication of the God question. Those who believe that it proves or disproves the existence of God press that method beyond its legitimate limits, and runs the risk of abusing or discrediting it" (p. 53). McGrath is keen to downplay the assumption of an inherent contradiction between Christian faith and science, including evolution. Though expressing admiration for Dawkins’ critique of William Paley in The Blind Watchmaker, McGrath notes that Christian theologians, including Cardinal John Henry Newman, also rejected Paley’s views as inadequate on theological grounds. On the other hand, he notes that many Christians did not see incompatibility between embracing both Christian faith and the theory of evolution. McGrath observes, "As a matter of historical fact, Darwinism was not perceived to entail atheism by the best informed judges of the time" (p. 77). He points to Darwinian scientists like Ronald A. Fisher, Charles D. Walcott, and Theodosius Dobzhansky who were also professed Christians. McGrath contends that although evolution might lead one to adopt an agnostic position (a term coined by Darwinian advocate T. H. Huxley) on the God question, it by no means necessarily leads to atheism. This is a school boy argument that has accidentally found its way into a grown-up discussion. It is as amateurish as it is unconvincing. There is no serious empirical evidence that people regard God, Santa Claus and the Tooth Fairy as being in the same category. I stopped believing in Santa Claus and the Tooth Fairy when I was about six years old. After being an atheist for some years, I discovered God when I was eighteen, and have never regarded this as some kind of infantile regression…. I have yet to meet anyone who came to believe in Santa Claus or the Tooth Fairy late in life (p. 87). In his "anti-religious rhetoric" Dawkins comes to a definition of faith that "bears no resemblance to what Christians believe" (p. 89). McGrath also turns Dawkins’ argument around and asks how this contemporary popular interpreter of science can be so sure that atheism is true. McGrath asks, "Is atheism itself a faith?" and "Is science a religion?" (see pp. 91-96). Along these lines, McGrath points to the problem of "radical theory change" in the sciences (p. 102). Beliefs that are held to be the assured results of scientific method in one generation are overturned in the next. "Scientific theorizing is thus provisional" (p. 104). Dawkins’ anti-religion rhetoric is over-reaching, while his "faith" in science is uncritical. So just what is the experimental evidence that God is bad for you? Dawkins assumes that it is publicly accepted within the scientific community that religion debilitates people, reducing their potential for survival and health. Yet recent empirical research points to a generally positive interaction of religion and health…. Dawkins appears to assume that his readers will rather uncritically share his own subjective views on the malignancy of religion, and thus accept his grandiose conclusions without demur (p. 136). Contrary to Dawkins’ rhetoric, McGrath suggests that science and religion need not be antithetical. He points to an emerging synthesis, "a new convergence," between science and faith. The "popular notion of a war between science and faith" is largely "Victorian propaganda" (p. 139). Contrary to Dawkins, religion does not present an "aesthetically deficient" view of the world (p. 146). Futhermore, McGrath contends that, "Christian theology does not in any way detract from a natural appreciation of the beauty and wonder of the world; if anything, it adds to it" (p. 151). The Christian concepts of "mystery" and "awe" do not necessarily mean "irrational." This book is a helpful popular treatment of complicated scientific and theological concepts. McGrath is clear in his critique but never petty nor acerbic. Some evangelicals, however, will not be pleased with the author’s apparent comfort with the theistic evolution position. In the end, McGrath succeeds in exposing the shaky historical, logical, philosophical, rhetorical, and, even, scientific foundations on which Richard Dawkins’ zealous advocacy for atheism vis-a-vis theism (and Christianity, in particular) is based. This work is recommended to the believer to equip him for apologetic engagement with the "new-atheism" represented by Dawkins. Conflict continues at moderate-liberal Broadway Baptist Church in Fort Worth, Texas over the inclusion of homosexual couples in the church directory. Apparently the Pastor thought the church was both welcoming and affirming while many of the older (Cecil Sherman type SBC moderates) were welcoming (as long as you keep it to yourself) but not affirming. See the soft treatment in Associated Baptist Press here (which focuses on the fact that the controversy is spurred on by the internet) and a more honest blogger report here. "I was glad when they said unto me, Let us go into the house of the Lord" (Psalm 122:1 AV). And on the day called Sunday, all who live in cities of in the country gather together in one place, and the memoirs of the apostles or the writings of the prophets are read, as long as time permits; then, when the reader has ceased, the president verbally instructs, and exhorts to the imitation of good things. Then we all rise together and pray, and, as before said, when our prayers is ended, bread and wine and water are brought, and the president in like manner offers prayers and thanksgiving, according to his ability, and the people assent, saying Amen (as quoted in John Stott, Between Two Worlds [Eerdmans, 1982]: p. 19). It is striking to note how that has time has passed the same primal elements still constitute the basics of Christian worship on the Lord’s Day. We gather together in one place, read the Scriptures, listen to the word preached, pray, and break bread. Corporate worship is our primary act of service as God’s people.